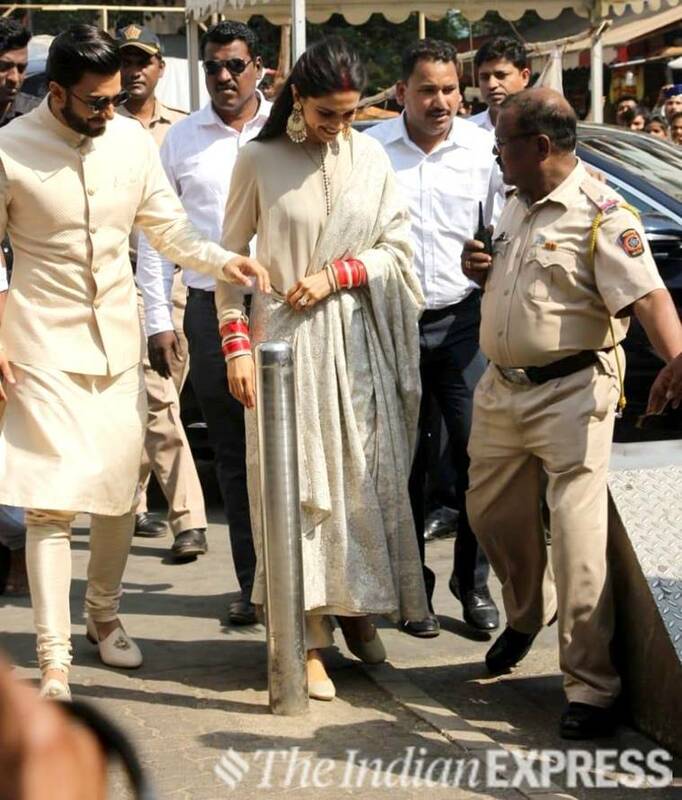 Mumbai: Looks like Deepika Padukone wasn’t joking when she said that she is a big fan of Sabyasachi. 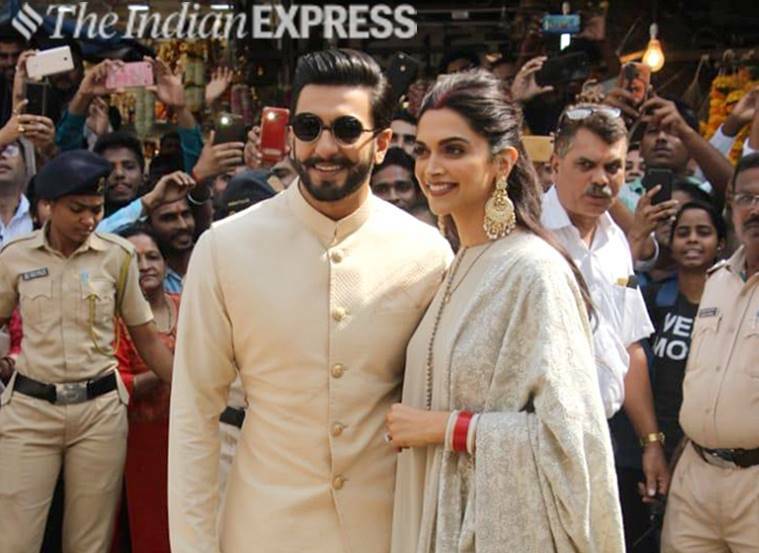 The actor who tied the knot with Ranveer Singh at Lake Como, Italy on November 14 has chosen the designer’s work throughout the festivities, barring the Konkani wedding ceremony and her Bengaluru reception. Even her airport ensembles were from the designer’s label. Ranveer Singh too complemented his wife from time to time, when he was not wearing Rohit Bal. 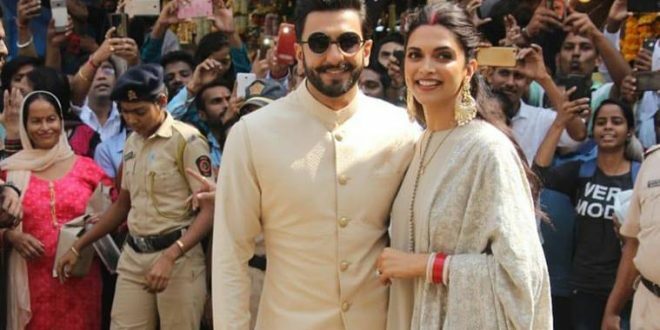 Continuing their love for Sabyasachi, the newlyweds recently stepped out in the designer’s creation while visiting Siddhivinayak Temple in Mumbai. Padukone let her hair down in a grey kurta that she teamed with palazzo pants and a beautiful dupatta with intricate embroidery work. She accessorised it with Kundan chaandbalis, bridal chura (Punjabi traditional jewellery) and plain juttis. Meanwhile, the Simba actor, who hardly fails to impress the fashion police looked dapper in a lovely beige kurta-pyjama set and a bandhgala jacket.